Here's why the best leaders support their teams through thick and thin. UMB Blog » Inside UMB » Here’s why the best leaders support their teams through thick and thin. 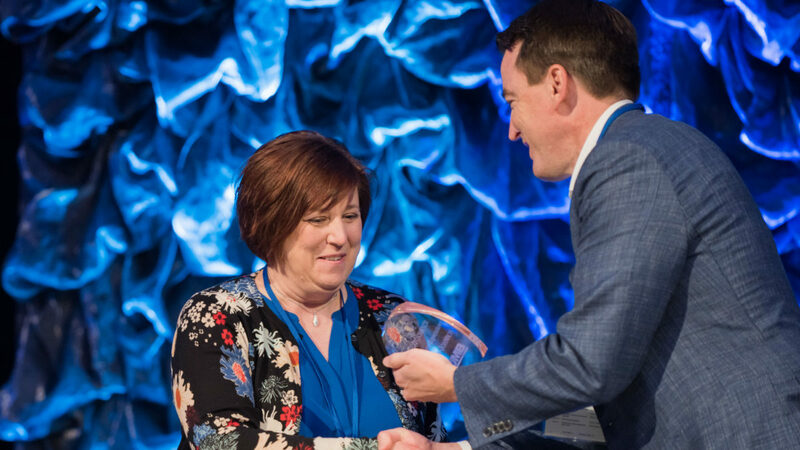 SVP/Manager of Loan Operations, Karen Johnson, was recognized at the UMB 2018 Summit Sales & Leadership Conference with an award for driving performance and setting clear expectations in managing a team of sixty loan servicing associates. The following tips were gathered in a Q&A session with Karen Johnson. Karen has worked in lending for twenty years and still enjoys coming to work every day, learning about the variety of different businesses UMB supports. 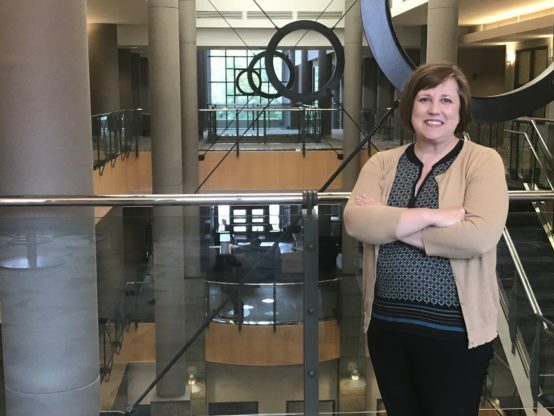 “I’ve always loved seeing the different things our company can do and how we can each individually contribute to the company’s success,” Karen said. Karen’s years of experience in management have taught her many things about how to be a good leader and drive performance. #1: Define the importance of each person’s role. When we’re all working towards the same goal, we achieve as a team. Each person needs to understand how his/her role contributes to the big picture. When people can see the impact of their work, they have a stake in the process and want to see it succeed. #2: Be transparent about goals. Early in my career, I was inspired by a mentor who emphasized clear communication in her leadership style. She was transparent about the “why” behind projects. I’ve found projects work out best when I am transparent and honest with my team and trust them. Teamwork is a journey– a complicated process with many paths diverging towards a common goal. If you’re transparent with your team, they will want to take that journey with you. #3: Be inclusive of others’ perspectives and ideas. Inclusivity in the planning and decision-making process is so important. Always step back and make sure you understand everyone’s point of view. We’re all coming from different places, so be respectful of that. It is these varying perspectives that help facilitate success in a team, especially when everyone can make their voices heard about the parts of the project that are important to them. The people actually working on a project day in and day out often have the best ideas for how to make it successful. #4: Take pride in your team. I believe the best leaders support their team, no matter the outcome. I am proud of my team’s ability to work together. They have each other’s’ backs. They’re willing to roll up their sleeves and help. Teams do their best work when they know their leader is there for them through thick and thin. #5: Strike the right balance between expectations and autonomy. As a leader, it can be challenging to both set clear expectations and allow your team members sufficient independence. The leader might define the goal, but there are a lot of different ways to achieve it. Give team members the freedom to find their own path. Of course, it’s important to have checkpoints along the way, but the main point is empowering associates to make decisions. Learn more about the UMB associate experience and current career opportunities.